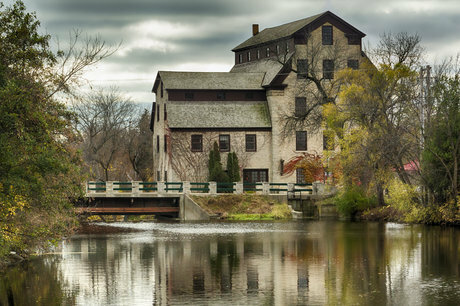 Cedarburg, Wisconsin is a place worth bragging about. As we continually seek opportunities to enhance the quality of life for residents and businesses and to support our local economy, we must do so in a manner that preserves the beautiful character of the community we all love. We must also actively manage our community’s image. The better we understand Cedarburg’s image, and the better we manage that image, the more successful we will be in our efforts of attracting new residents, businesses and tourists. Community branding is about creating a unified story we can all share that positively affects our reputation. It allows us to market Cedarburg outwardly so we are leveraging what makes us unique and attractive. Unlike traditional and familiar consumer product brands, a destination brand is not limited to one organization. We all share it. We all are responsible for delivering the many experiences that can be found throughout our community, from our downtown and parks to our restaurants and businesses. Everyone is part of the Cedarburg brand. This is more than a logo and catchy tagline. This branding project offers a new and sturdy platform that encourages respectful working relationships to deliver the brand promise consistently, and supports the community’s effort to establish and sustain their reputation. It will provide marketing direction for many community organizations within Cedarburg. It will identify new opportunities for programs that can unite and grow local businesses. It will give everyone something to rally behind. The branding project is using qualitative and quantitative research from inside and outside of Cedarburg. The research is focused on learning about Cedarburg mostly from the people that know it best – residents, businesses, leaders and our neighbors. Community storytelling involves a lot of different tools. Sometimes it is advertising, but other times it may be a public art project. The Cedarburg story is deep and rich and can be told in many ways. This project will help create ways for everyone to be storytellers in their own way. + How will Cedarburg benefit from a competitive identity? As the world changes quickly around us, it is important we understand and reinforce the values and heritage that make Cedarburg distinct. Without actively managing the desired direction of our reputation, we are vulnerable to factors we cannot control, and as a community, we may suffer from fragmented communications. The goal is to create an authentic place of distinction and a cohesive community voice that can be used by all our stakeholders in a unified effort to highlight the best of what Cedarburg offers. + How is this project being funded? This project is being funded by six investors including the City of Cedarburg, Ozaukee Bank’s Gift to the Future Fund, Cedarburg Landmarks Preservation Society, Cornerstone Buildings, LLC., Cedarburg School District, and Cedarburg Light and Water. + How was this process initiated? Cedarburg’s Economic Development Board identified the need for a purposeful branding direction for the community, not only for growing businesses, residents, and tourism, but also for rallying the entire community behind a central theme. Investors were secured, and from them a steering committee was formed that also included a representative from the Cedarburg Chamber of Commerce. The steering committee carefully reviewed all proposals from companies experienced in this type of consulting. Eventually, the marketing company Chandlerthinks, proven experts in place branding, was selected to help us navigate through this process. + Will Cedarburg residents and businesses have an opportunity to contribute? In addition to a series of community interviews and focus groups, we will also have an online community survey. Everyone is encouraged to participate in the process. The cooperation, leadership and unity of these organizations will create a new strength and vitality in our community for greater teamwork and growth. Cedarburg is on its way to being a destination of distinction. + What will the process entail? This process will be broken into four phases: 1) Research that explores and uncovers the Cedarburg identity; 2) Development of a competitive identity strategy; 3) Development of a Cedarburg voice and creative platform; 4) An action plan that provides a detailed program for involving all stakeholders in marketing our new competitive identity. + How long will the project take to develop? A research and strategy project of this size typically takes 8-10 months for completion. However, this project begins a new, on-going initiative for our community. The efforts for positively managing Cedarburg’s reputation will continue long after this project ends. + How can I be a part of the Cedarburg branding project? For more information or questions, please email Jennifer Andreas at Cedarburg Chamber of Commerce. During the course of this community branding project, we will be sharing upcoming dates that may be of interest to you. Stay tuned. December 11-14, 2017: The Chandlerthinks team begins the branding project with an in-market visit to Cedarburg. The team visited the local attractions, toured the downtown shops, enjoyed the local dining, and hosted one-on-one interviews and focus groups with many of the City's people. This visit begins the research phase of the project. February 8, 2018: The research phase of the branding project is well underway, with several different types of research methodologies working at the same time. A Community Destination, Business and Lifestyle Study is is now in the field and the Cedarburg Chamber would like your participation. April 12, 2018: The research phase of the branding project is now complete. The research team will be presenting their findings to the Cedarburg branding steering committee. The next phase of the project will include brand story development and messaging. June, 2018: The creative process is underway and the team will be presenting the brand messaging and creative solutions very soon. What two or three words would you use to best describe Cedarburg, Wisconsin? There may be more opportunities to give input or get involved. If you would be interested in giving more input, please provide your email address.